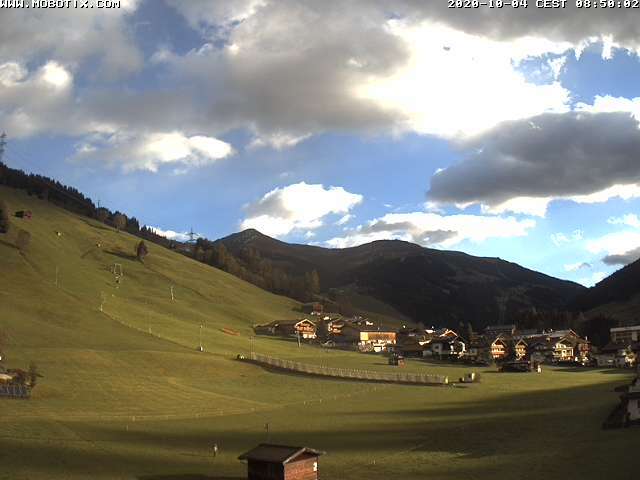 This webcam is placed at Hotel Platzer in Gerlos. It is pointed at the practice slope. The Isskogelbahn begins at the right side.